Starring: Robin Williams, Jeff Bridges, Mercedes Ruehl, Amanda Plummer, Michael Jeter. Terry Gilliam’s films are not always easy to access. They are always visually stunning but can leave its audience perplexed and confused. The Fisher King is a rarity in which he keeps his eye of the bizarre while at the same time telling a very beautiful story of loss and loneliness. 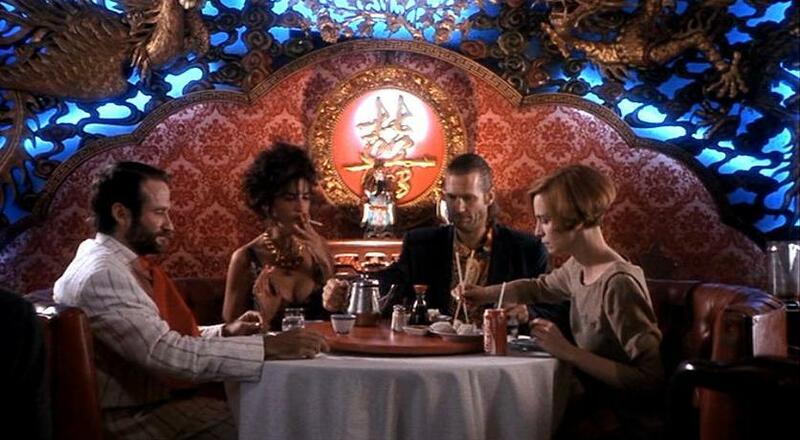 It also has four extraordinary performances from the leads, particularly from the late, great Robin Williams. Jack Lucas is a shock DJ at the top of his game, who hates everyone. One night on his popular radio show, he suggests to a caller that the successful young singles should be shot. Those words come back to haunt him when the caller does just that. Three years later, his career in tatters, drinking heavily and living above a video store with girlfriend, Anne, Jack is struggling and so decides to end it all. He is saved by a homeless man called Parry, who has two big dreams: to win over the girl of his dreams, the shy and awkward, Lydia and to get his hands on The Holy Grail, which is in the castle home of a businessman. Jack soon discovers that Parry is the victim of the caller and so he decides to help him any way he can. Gilliam’s film has so many tings to enjoy, it’s almost impossible to know where to start. The visuals, as you would expect, are exceptional and even though this is a modern-day fairy tale, it still has touches of the director’s love of the strange and medieval, most noticeable in the Red Knight, a fire-breathing apparition that haunts Parry’s world. He also manages to make the slums of New York look almost mystical, while still keeping an eye on a sense of realism. It has a magical sequence in which Parry follows Lydia, his dream girl, through a crowded Grand Central Station, which leads the commuters into a waltz that is both brilliantly choreographed, like an elaborate flash mob before they were even considered and surprisingly romantic, a side of the director we have never seen before. The story, from a script by Richard LaGravenese, brings so many ideas and themes to the forefront, from that of loss, redemption, fear, love and loneliness. He creates beautifully realised characters who draw you into their worlds and you instantly sympathize with them, even if they do and act in some very strange ways. At the heart of this masterpiece are four quite special performances. Jeff Bridges is always good value and delivers even in the weakest films, here is superb as Jack, a man at the top of his game who literally crumbles before our eyes. The massively underrated Mercedes Ruehl gives her finest performance as the lovelorn Anne, a woman who is besotted by Jack and yet cannot win him over. Amanda Plummer is kooky, sweet and funny as the hapless Lydia, showing her comic talent in a sequence at a Chinese restaurant. Then there is Robin Williams as the loveable Parry. It is the true testament to the actor that within the blink of an eye, you can be laughing at him and then crying. He doesn’t make Parry a character we cannot understand, more a man lost in a world too big for him, having to cope with bereavement the only way he knows how. You want him to find happiness. You want him to win the girl. You want him to have stability in his life. It’s a terrific performance and one that often gets looked over. 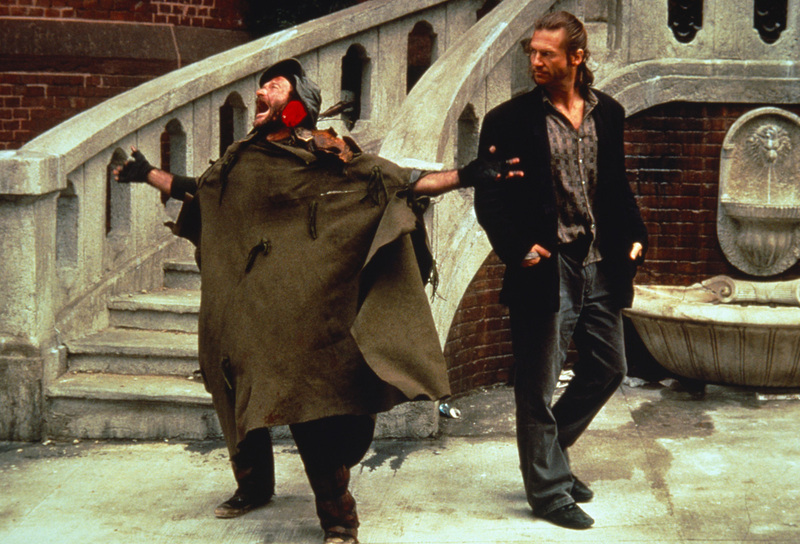 The Fisher King is a rare beast in the world of cinema. A film full of intelligence, wonderment and magic while balancing on that dark and gloomy line. Gilliam might have made better films but none as loving and glorious as this. It’s hard not to shed a tear watching it (especially on this very sad day). Let’s face it, we all love New York in June. How about you?